Charles Frederick Leonard Jr., 92, a retired Army Major General who won a silver medal in the pentathlon in the 1936 Olympics, died February 18, 2006, at The Fairfax retirement community in Fort Belvoir, Virginia. He had complications from a heart attack he suffered three weeks earlier. General Leonard was just a year out of West Point when he competed in the Berlin Olympics, receiving the first perfect score in the pistol event of the pentathlon, an achievement not equaled in Olympic competition until 1980. In addition to shooting, pentathlon competitors fence, swim, run and jump horses. He was a teammate of Jesse Owens's and got to know him on the transatlantic voyage. After seeing Adolf Hitler's Germany, he wrote home warning friends and relatives to be on guard about the country. Nazi-admiring filmmaker Leni Riefenstahl "thought he looked like a Greek god with that laurel on his brow," said his daughter, Margaret L. Starbird of Steilacoom, Wash. "She tried to get him to stay in Germany to make pictures, but he said he had to serve out his military obligation." He also was invited to tour German military training installations, but after the Games ended, the invitation was abruptly canceled. "He didn't have any trouble figuring out why," said one of his sons, retired Army Colonel Henry A. "Chip" Leonard of Alexandria. General Leonard was born in Fort Snelling, Minnesota, the son of an Army officer, and grew up on a series of Army posts. After West Point and the Olympics, he served in several infantry regiments and taught at West Point during World War II. He commanded two outfits in Korea, the 27th Infantry Regiment in 1953-54 and the 1st Cavalry Division in 1963-1964. He served primarily in infantry and armored units and also served as the commanding officer of a unit stationed along the Iron Curtain between East and West Germany from 1958 to 1959. He was Commanding General of the Army Intelligence Command at Fort Holabird, Maryland, from 1964 to 1965 and Commanding General of the 10th U.S. Army Corps in Seattle until 1967. A firm believer in marksmanship training all his life, General Leonard served as executive officer of the national marksmanship matches in 1955 and 1956 and consulted with the U.S. Olympic marksmanship and pentathlon teams. After his Army retirement in 1967, General Leonard served as the director of security and facilities at the University of Washington until 1971. He was a volunteer with the Washington state chapter of the American Cancer Society, recruited for West Point and enjoyed outdoor sports and traveling. In 1989, he returned to the D.C. area and settled at The Fairfax. He continued to travel and lead his West Point class's activities. 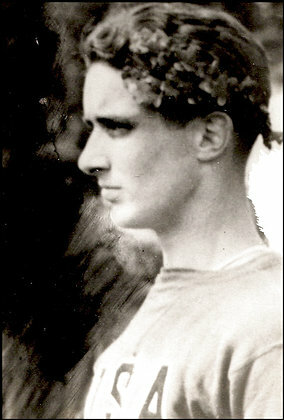 His wife, Margery Alden Beukema Leonard, died in 1994. A son, Army Captain Charles Frederick Leonard III, died in 1967. In addition to his son and daughter, survivors include two other children, Michael Leonard of Washington and Herman B. Leonard of Concord, Mass. ; 13 grandchildren; and two great-grandchildren. Major General Charles Frederick Leonard Jr.
Deputy Chief of Staff for Intelligence: Major General Charles F. Leonard, Jr.— 1 December 1964 to 31 December 1964. On Sunday 23 February, our oldest Olympic Pentathlete, Major General Charles F. Leonard celebrated his 90th birthday. He was the first to fire a perfect score in the Olympics in the pistol competition in 1936 as well as USA's first ever silver medal winner. UIPM, on behalf of the Modern Pentathlon and the Olympic Family, sends its warmest greetings to the Major andwishes him continued good health. In 1936, Charles F. Leonard won the silver medal and produced the first perfect score in the shooting event. Leonard's feat was not equaled in Olympic competition until 1980 by George Horvath of Sweden. 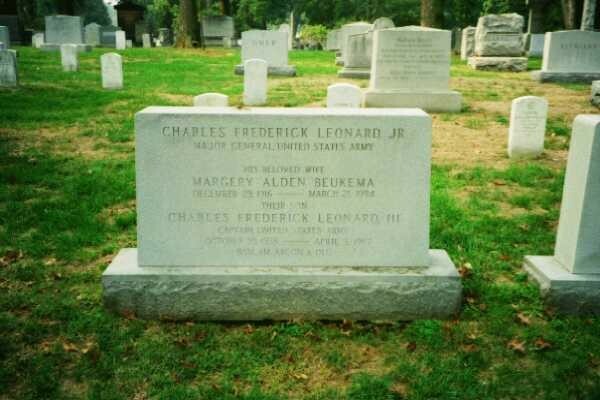 General Leonard's son, Charles Frederick Leonard III, is buried in this gravesite as is his wife Margery Alden Bukema Leonard. 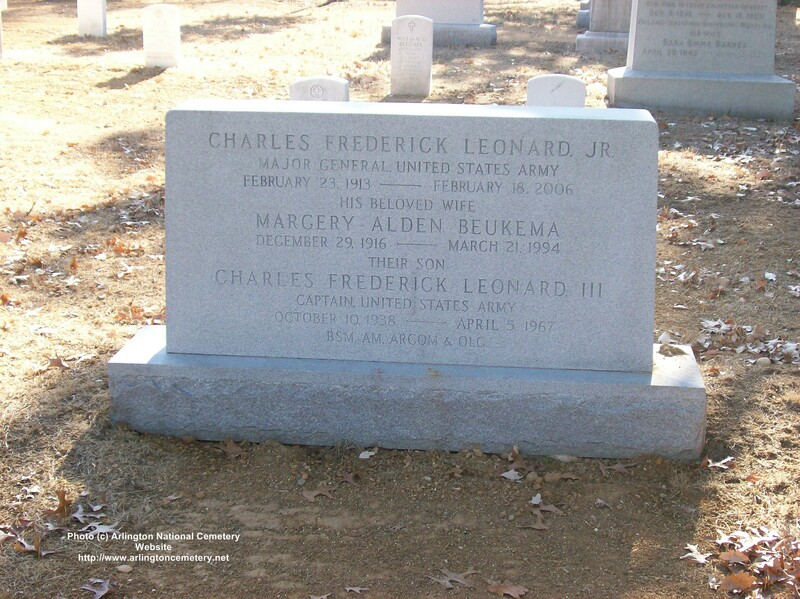 The General's father, Charles Frederick Leonard, Colonel, United States Army, is buried in an adjoining gravesite. Also buried in this gravesite is William Nicholas Leonard, Rear Admiral, United States Navy, and his wife. I found your website biography of my Grandfather, thanks for doing it, it is a very nice tribute. Unfortunately, he passed away on Saturday, 18 February. If you could add that update I would appreciate it. Thanks again for the tribute.